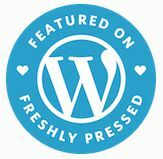 Question for My Readers | "Granny Beads and Grocery Store Feet"
I am seriously curious about the post that stays consistently tops my Popular Post list. My number one post is “Mighty Bumps from Tiny Acorns Grow”. Of all my posts, this is one of the least promising to my mind. It just doesn’t click to me why this particular article is the one everyone keeps reading. Is it just the one that shows up in search engines? Do a lot of people just like acorns? 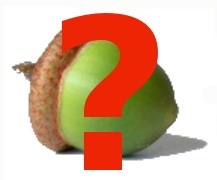 Is it being mistaken for the ACORN political group? If anyone has any ideas, PLEASE, let me know. I’m seriously curious. Thanks a bunch and remember I love y’all! Why some posts “catch fire” and others, often with more substance and polish, go un-remarked is just a mystery of the universe. Don’t think about it too hard or you will get a headache.